Response: Humbly and respectfully, I believe substantive insight into these dynamics can be realized by way of lovingly embracing the notion of Acting Without Acting, i.e., endeavoring to do the right thing for the right sake – without the need for selfish recognition or hidden agendas. It is in the wonderfully healthful spirit of true honesty, promoting of true happiness and true freedom…but most importantly, needing less and less to hide behind. It is in learning to better and better play the part of the unblemished witness to one’s internal and external environments – in a genuinely benevolent and altruistic spirit of deep and abiding true appreciation. It is learning to HONESTLY display oneself with dignity, decency, goodness, and grace…no matter what. It is SO very much about realizing that we are all so very much more in the same common boat than we so often think and act. It is SO very much about supporting others in their healthful goals. It is likely that most of us have heard this old saying, e.g., “There comes a time!” If we so desire, each of us can decide for ourselves how this saying may apply to us at various times in our lives – more and more each day, even each moment. What does this saying mean to you? What does it mean to me? How does this saying relate to learning to live life as a living loving art form? How does this saying relate to any serious notion of (deeply honest/sincere/loving) true appreciation? Consistent with the philosophy of the ages-old health/wellness arts that I teach, coach, and endeavor to follow, this ‘saying’ has a LOT to do with avoidance of (getting ‘stuck’ on) stagnant plateaus which, if we get stuck long enough, can be like a living death or purgatory (NOT in a spirit of wanting to sound ominous – but in fact, MAY actually ‘do us in’). We have another old saying in our culture – it IS really important to ‘have a reason(s) to get up in the morning’…to WANT to get up in the morning. In this, I am speaking to the notion of GENUINELY feeling significant gratitude in getting up in the morning – benevolently so. I am speaking to the notion of really/truly WANTING the day, the evening…wherever/whatever one is doing. It IS possible that the more OR less reasons we realize (in wanting) to get up in the morning, to lovingly and appreciatively embrace the day, even each moment, can be a gauge of our quality of health. Empirical studies have commonly set forth the hypothesis that, feelings such as frustration, anxiety, sadness, and anger can cause chronic illness, most particularly if such feelings become a way of life. This hypothesis has been redundantly researched, and in fact, it is actually no longer a hypothesis, it is an accepted fact. The ‘spirit,’ the quality of ‘heart’ in which we go about things can have a profound effect (positive or negative) on the quality of our health, sense of fulfillment, our outlook. A negative spirit/outlook is stagnancy, and excess stagnancy IS illness. We are ALL so very much in the same common boat in this – throughout our lives we all get stuck on ‘stagnant plateaus,’ many, many, many times. Keys by which to ‘unlock the door’ of this crepuscular dynamic can be found in learning to more and more and more ask ourselves, “How long am I going to let this go on?” “How long will I avoid deeply/genuinely appreciating the lessons which are there (lessons I need and should want to learn)?” Asking ourselves ‘how’ and ‘what’ questions IS so important. How good do I want to feel? How Bad? What levels of so-healthful mindfulness do I want to realize and lovingly sustain? How light and free do WE want to be, more and more free of the terrible weight of unhealthful/stagnant expectations – preordained/preset patterns of thinking (which are so limiting to our spirits)? How healthful do we want to be? How far are we willing to go to embrace the notion of ‘true health through true responsibility?’ Maybe we just need to look within. I can only speak for me – you can only speak for you. There (hopefully) comes a time! Dr. Glen Hepker explores the tools for promotion of True Health: He speaks about the ages-old Bright Beautiful School of Thought, explaining how the quality of our lives will be greatly enhanced once we learn to raise ourselves up by taking True Responsibility for our own health and wellbeing. 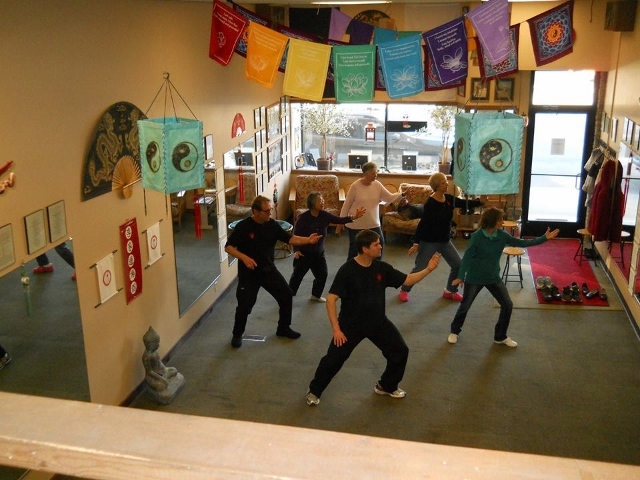 In order to begin enjoying the blessings of True Health, Hepker says it is important to initiate ownership of the notion of the True Responsibility of Healthful Interaction – displaying dignity, decency, goodness, and grace in our interaction with others, AND figuring out how to truly mean it, No Matter What. He emphasizes the importance of Acting Without Acting – doing the right thing for the right sake without the need for selfish recognition or hidden agendas. He examines the Same Boat Theory, which sets forth that the primary fault of humankind is the notion that you are there and I am here. Most especially, this health and wellness philosophy is distinguished by its remarkable, thought-provoking, and ingenious notion of coalescing ethics and morality and deeply-rooted insight/objectivity skills with conceptions of health and wellness, i.e., true health and/or true health through true responsibility. It sets forth that one cannot realize true health without the necessary and truly skilled attributes of deep insight, morality, clear objectivity – learning the true skill of being able to look within and without (into one’s internal and external environments), without fear, without preset patterns of thinking. It sets forth the importance of true honesty – gathering a level of objective insight that introduces one to the notion of needing less and less and less to hide behind. Outlining the benefits of the Bright Beautiful School of Thought, the author guides readers down the path toward True Appreciation of the Miracle of the Moment…such healthful clarity being a significant aspect in realization of glimpses of heaven – loving bioelectric spine-tingling/shivering sparkling sensations AT WILL. This is a true skill that can be mastered while curtailing the pernicious weight of habitual cyclical thinking. Hepker sets forth the notion that one of the greatest gifts of all is that there is always room for improvement, versus the living death of stagnant plateaus. 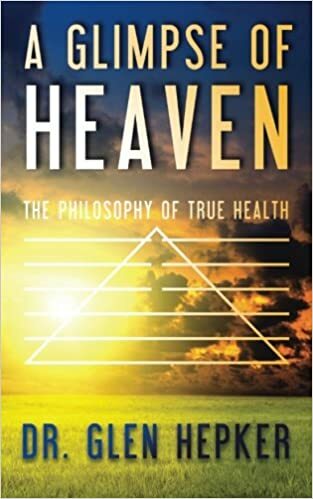 In A Glimpse of Heaven, the author’s words modestly depict a beautiful, altruistic, benevolent, and well-rounded health and wellness philosophical way-of-life – while conveying a powerful message whose purpose is to humbly assist in making the world a better place.